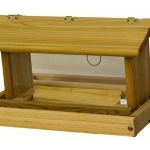 This little feeder is great for gift giving and has a 2 lb. capacity for mixed seed. 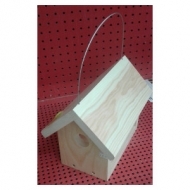 Our smallest hopper feeder and our biggest seller. Use as your grandchild's own feeder or supplemental feeder. 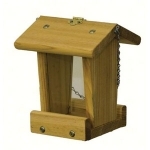 Mixed seed hanging feeder with chain and two section roof. 8-10 lb. capacity.